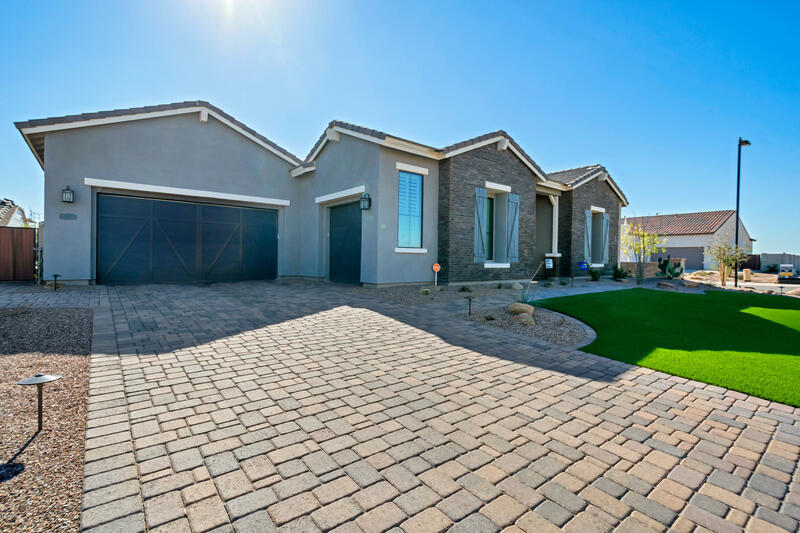 All CALLIANDRA ESTATES homes currently listed for sale in Gilbert as of 04/22/2019 are shown below. You can change the search criteria at any time by pressing the 'Change Search' button below. 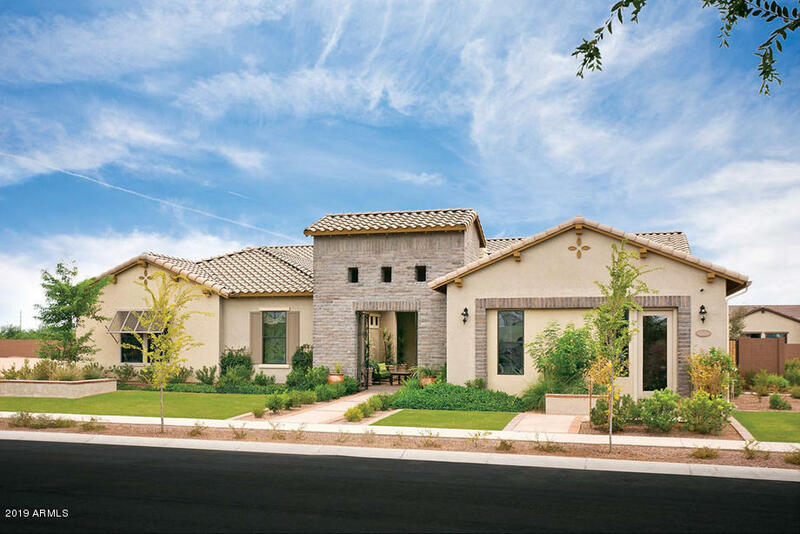 "Toll Brothers Montierra MODEL HOME for sale! Award winning contemporary design. Spacious entry courtyard with charming stone fireplace set the tone for this dramatic 3,393 square foot home. 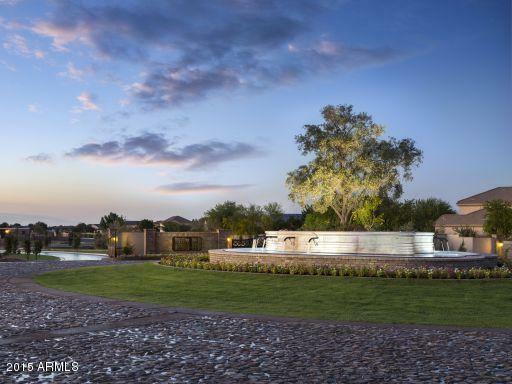 Magnificent 14' circular foyer opens to massive great room with expansive multi-slide doors for indoor/outdoor living that opens to resort style backyard, stunning contemporary linear fireplace and 12' ceilings. Custom ceiling work throughout including beams and decorative wood insets. 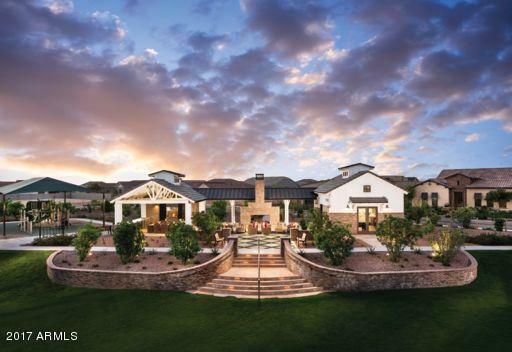 Dream kitchen includ"
"Refined luxury and breathtaking views in one of the most coveted gated neighborhoods in all of Gilbert, Calliandra Estates. 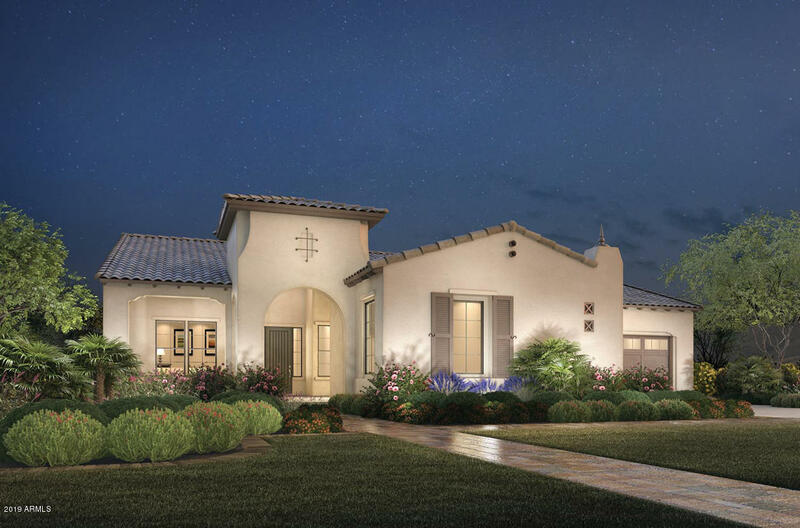 New construction custom build (2017) on a private half-acre with spectacular views of the beautiful San Tan Mountains. Step in through the handcrafted glass entry door to experience resort-style living at its finest, enhanced with an abundance of recent upgrades.The open floor plan leads to a dream kitchen built for entertaining, complete with a unique center island with st"
"2017 built gorgeous home, located on a premium corner home site with upgrades galore! Vacation in your own resort style backyard with extended patio, turf, spa + heated pebble tec, self cleaning pool & waterfall using smart technology PLUS gazebo with BBQ & fridge ! This popular split floor plan offers massive 12 foot ceilings & plenty of room to entertain! Breathtaking dream kitchen package with Alder Smoke Cabinets and Marble countertops. Kitchen open to the Family Room & Dining Room for an op"
"Beautiful new Toll Brothers Quick Delivery Home to be completed Fall 2019. 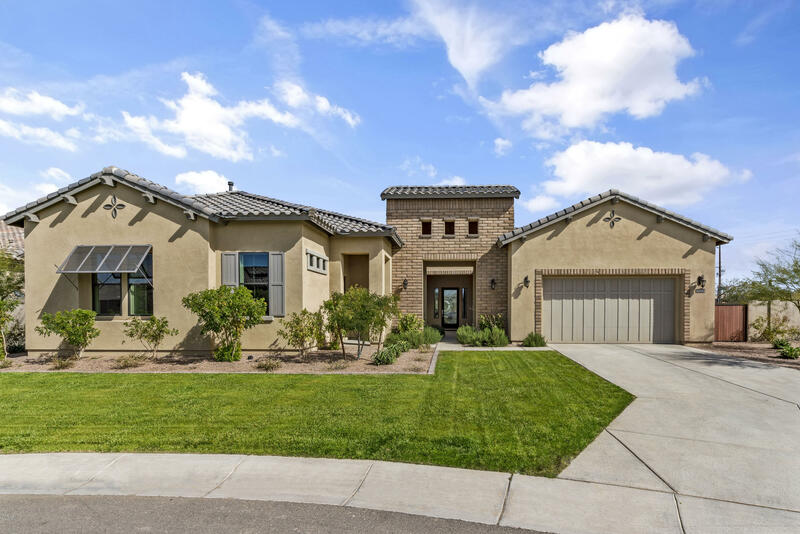 Exquisite iron entry door welcomes you into this spacious floor plan with upgraded 12' ceilings. Separate formal dining room plus an expansive Great Room with a multi-panel sliding door. Fabulous kitchen with upgraded cabinets, quartz countertops and stainless steel appliances. Beautiful upgraded wood-look plank tile flooring. Luxurious master bathroom with free standing tub, tiled shower and quartz countertops. 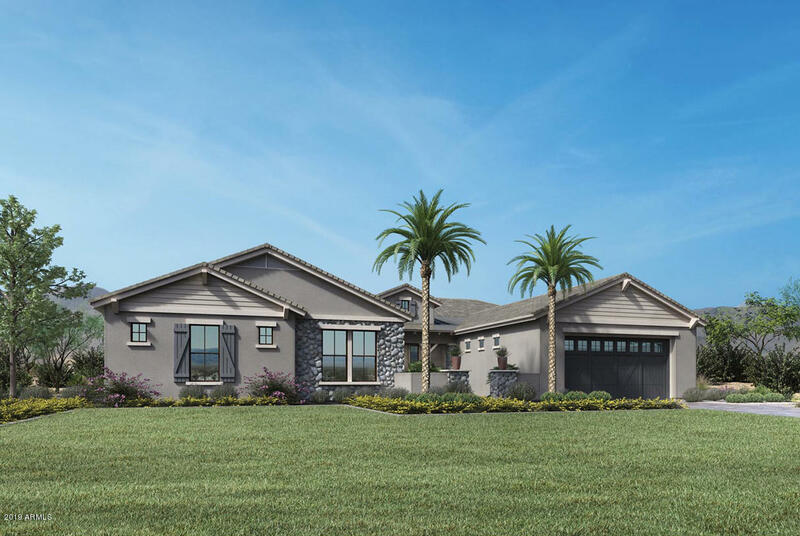 3-car Tan"
"Beautiful new Toll Brothers Quick Delivery Home to be completed Fall 2019. Desirable home site with view fencing and no neighbors behind! Sophisticated iron entry door welcomes you into this spacious floor plan with gorgeous upgraded finishes, including 12' ceilings and wood-look plank tile flooring. Expansive Great Room with a multi-panel sliding door for indoor/outdoor living. Bonus room and a private study. Spectacular kitchen with large center island, quartz countertops and upgraded cabinets"
"Beautiful new Toll Brothers Quick Delivery Home to be completed Fall 2019. Desirable home site with view fencing and no neighbors behind you! Elegant iron entry door welcomes you into this gorgeous floor plan with sophisticated finishes, including 12' ceilings and wood-look plank tile flooring. Spacious Great Room with 15' multi-panel sliding door plus separate study. Fabulous expanded kitchen with large center island, quartz countertops and upgraded, extended cabinets. Luxurious master bathroom"
"Beautiful new Toll Brothers Quick Delivery Home to be completed Fall 2019. Charming front porch with elegant iron entry door welcomes you into this spacious great room floor plan with 15' multi-slide door for indoor/outdoor living. Dramatic 10' ceilings throughout home. Separate formal dining room plus a den. Fabulous kitchen with upgraded cabinets, quartz countertops and stainless steel appliances. Beautiful upgraded wood-look plank tile flooring. Luxurious master bathroom with TWO large walk-i"